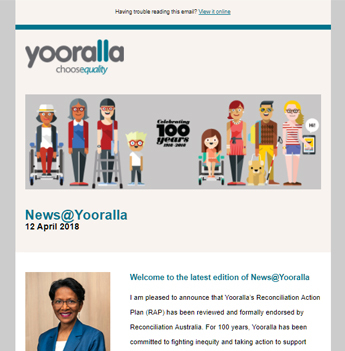 At Yooralla we’re regularly asked by Support Coordinators, Plan Managers, Local Area Coordinators (LACs) and NDIS planners what services Yooralla has that can support their NDIS participants. So, we thought it would be worthwhile to set up a NDIS Professionals Hub, where you can easily find relevant information online for your participants. tour through the links below.